There have been a multitude of rumors suggesting Microsoft is developing a foldable Surface Phone. Those rumors have largely been based on company patents. Yet, for all the speculation, the software giant has not confirmed any such device. 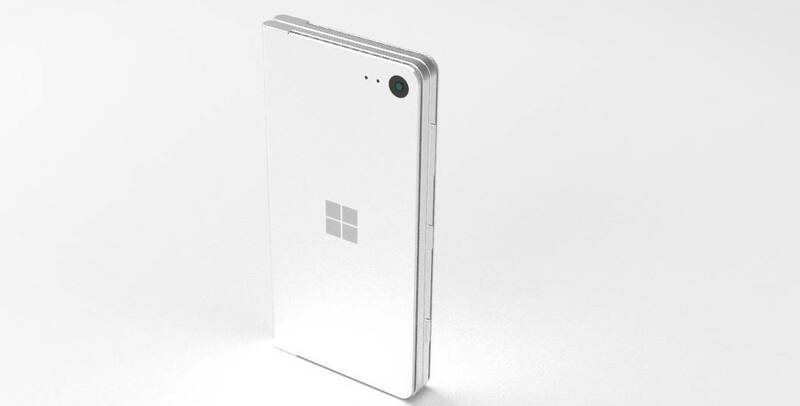 To further highlight what the Surface Phone might look like, a designer has showed off a new, entirely unofficial, design concept for a Microsoft mobile device on his Behance page. Three of the most recent Microsoft patents for a foldable mobile device came to light in April and May 2018. The first of those patents was for a device with a curved edged display and controlled luminance. The May patents were for a foldable device with a third display on the hinge and sensors that detect the display positions. The patents have generated plenty of speculation about an upcoming Microsoft mobile device reputedly in the works, which is otherwise codenamed Andromeda. The pictures included in those patents are colorless sketches of the foldable mobile device. To bring those patents to life a little more, the designer Mr. Kim has added an image gallery to his Behance page that includes color 3D concept art for a potential Surface Phone. 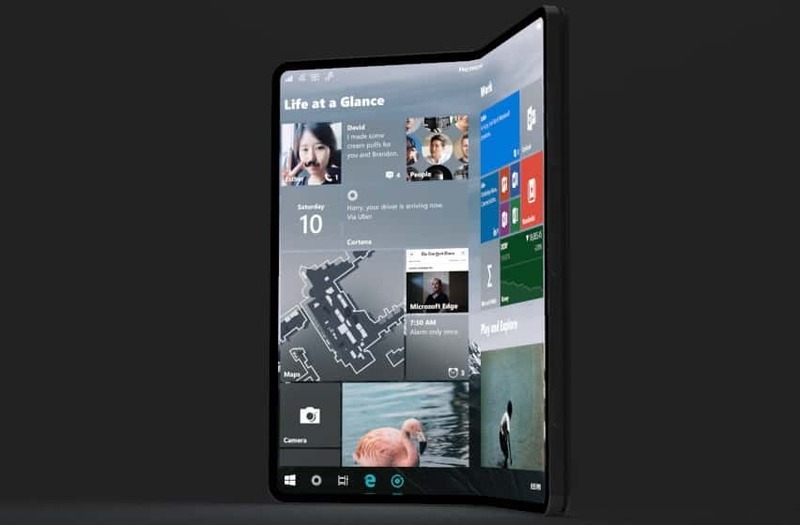 Mr. Kim’s Behance page also includes a video that showcases a Microsoft foldable mobile device. Kim’s design concept images and video shows us a device with two separate displays. The device has two foldable displays seemingly combined into one expanded display so that you can utilize it more like a tablet. However, it is small enough to be a phone; and one of the images also includes an on-screen keyboard on the secondary display. As such, the device would essentially become a miniature laptop when you utilize its on-screen keyboard! So the mobile device is a little more than the hybrid 2-in-1 phone and tablet that the rumor mill suggests Andromeda might be. It is actually a 3-in-1 laptop, phone and tablet that also includes a camera and stylus pen. The device OS in the images incorporates a Metro UI design comparable to Windows 10. Of course, the concept design is largely the stuff of dreams. However, PC-phone convergence is certainly not a thing of fiction. Microsoft has already incorporated Snapdragon CPUs into its Always Connected PCs. So, who can say that the software giant is not cooking up a hybrid laptop and phone device as illustrated within Mr. Kim’s design concept?